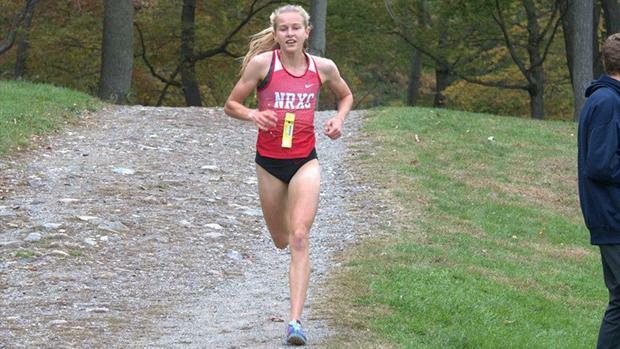 Once again, it was a Tuohy sweep of a major meet for North Rockland, one week after doing much the same at the Section 1 Coaches and Officials Invite. The difference was, Katelyn now was only 30seconds off her brother Patrick Tuohy. That wasn't because Patrick ran anything slow, as he finished 25 seconds ahead of third place. It was more that Katelyn was running one of the All-Time greatest races in New York prep history, breaking 16mins on a course where sub-16 wasn't even in anyone's minds heading into this season, or even this decade. Once again, she would have finished fourth in the boys County Championship race. While Tuohy grazed and got the record earlier in the year, she was only doing a "workout" at the time. At full effort, she showed the difference that can make, bettering the record by 30seconds. It garnered her the third highest Speed Rating All-Time for a New Yorker, as well as the 13th Highest Rating All-Time by an athlete during the 2000's, the 11th highest single athlete on the list. With Bowdoin Park and the Wayne State Meet Course as the last courses on her schedule, we look down at how many of the storied course records Tuohy has. Considered "The Majors" of New York Cross Country, Tuohy is now tied with Kelsey Chmiel & Aisling Cuffe for holding 2 of the storied marks. If she were to set the Bowdoin Park Record, she would then move up to three of the possible eight record. "The Majors" includes courses with regular Invitationals held annually, or have held the State Meet 3 or more times in the past. We've excluded Elma Meadows, as the course is closed for competition for the foreseeable future. 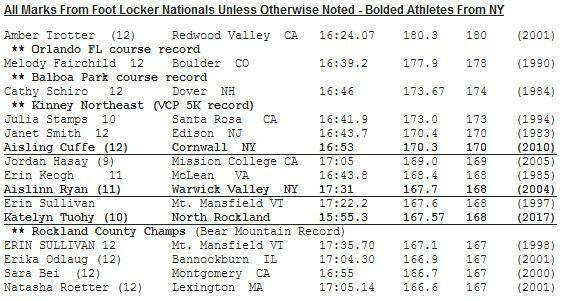 Cathy Schiro ran 169 at Foot Locker Nationals that year. Aisling Ryan ran 168 at Great American in 2004.